Separating contraceptive services from SHCC’s list of services covered by the health fee allows WOU students who are eligible to enroll in the CCare program; however, it changes the billing structure for students who request contraceptive services and are not eligible for the program. 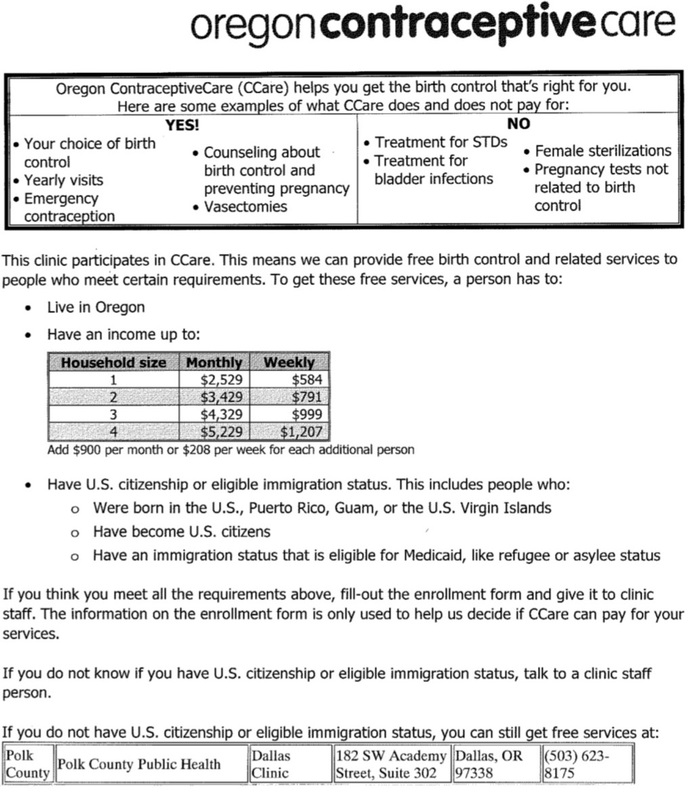 CCare Clients: contraceptive care services are free of charge. If you have private insurance it will be billed first before CCare is billed. You will never personally be charged a fee, a co-pay, or a deductible for any contraceptive services or supplies.